I’ll admit it. I’m addicted to vests. I have them in so many shapes and styles that I’ve lost count. I knew for our trip to Gatlinburg that I wanted to pack one of my excursion vests. The second that we got into town, we set out to explore the city. We wanted to go to the moonshine distillery, and when we were parking, we stumbled upon this gorgeous creek. We climbed down and got these gorgeous photos. I just love all the nature that Gatlinburg has to offer. It was so beautiful and peaceful. This look was perfect for our day of exploring. I only wish I had worn bean boots instead of sneakers! 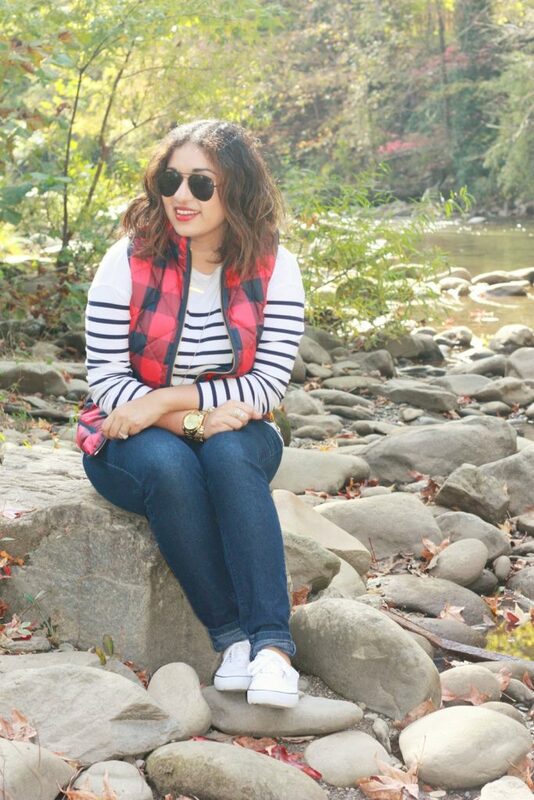 But I love the print mixing here and it was just enough layers for the fall temps. SOO CUTE!! We are totally addicted to vests here too! They're perfect for staying a bit warm without a giant coat! I love the black/white stripes paired with the plaid!! ADORABLE! 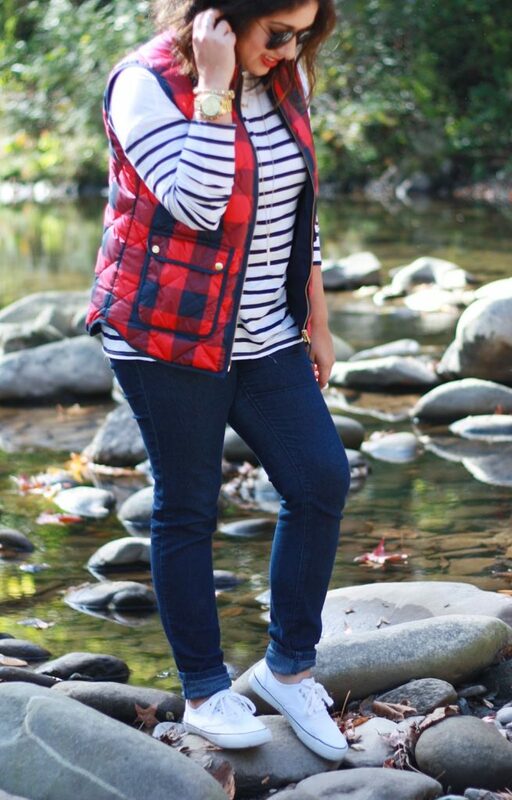 I love the combo of the plaid and stripes! Its stellar!! 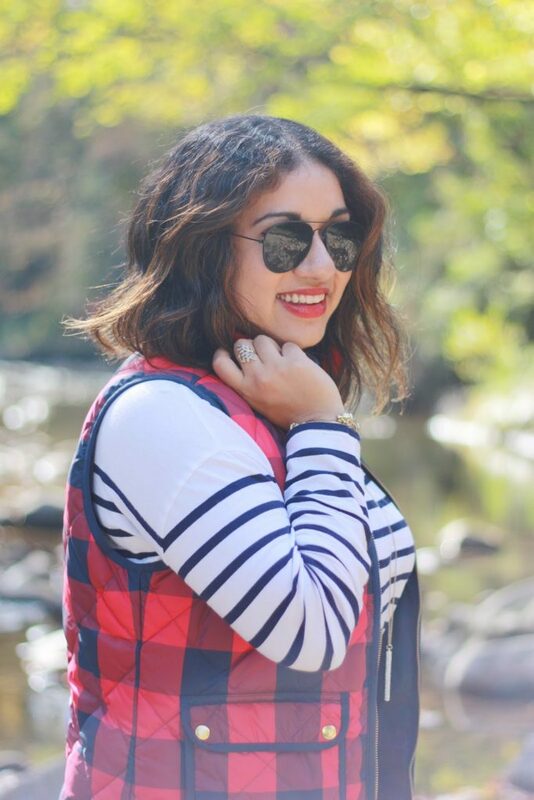 I agree with you – I could wear vests every day in the fall! 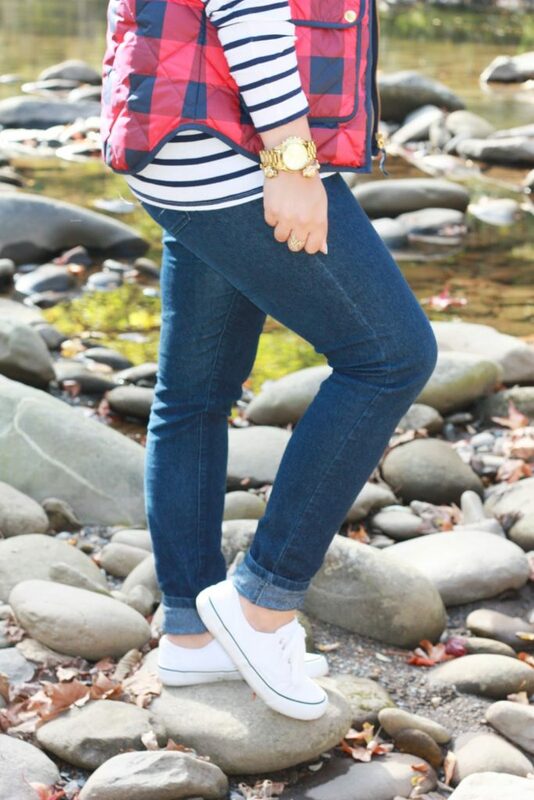 Love this look and the sneakers look great with it even though bean boots would look great as well! LOVE vests. They have the ability to change the look of any outfit dramatically. This buffalo plaid one is so fun. I actually really like the sneakers with it!! (haha) and cute vest girl, you rock! 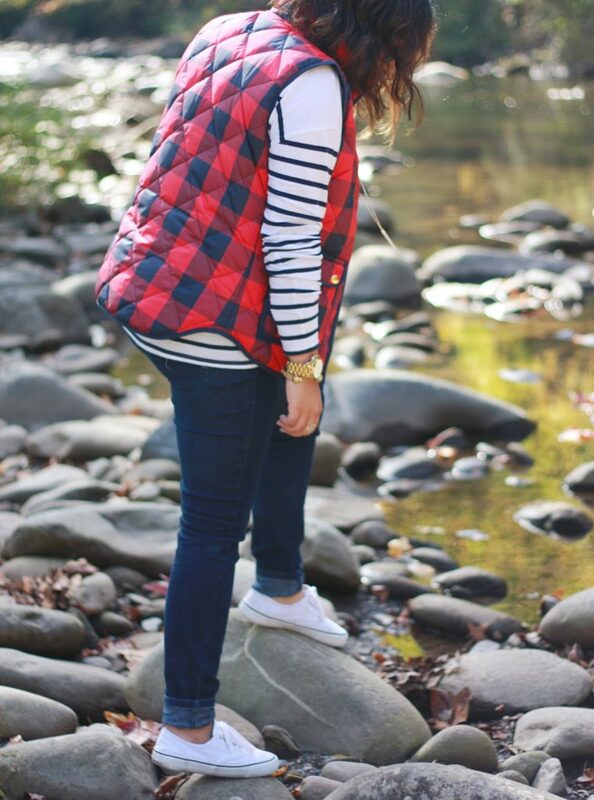 I love vests – they're so fun! 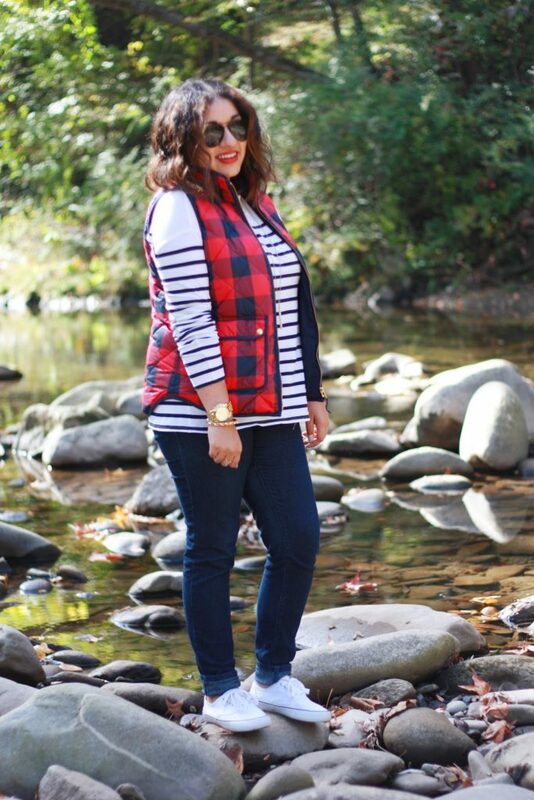 Love that this plaid one pairs so well with the stripes! Such a cute look! Such a cute look!! 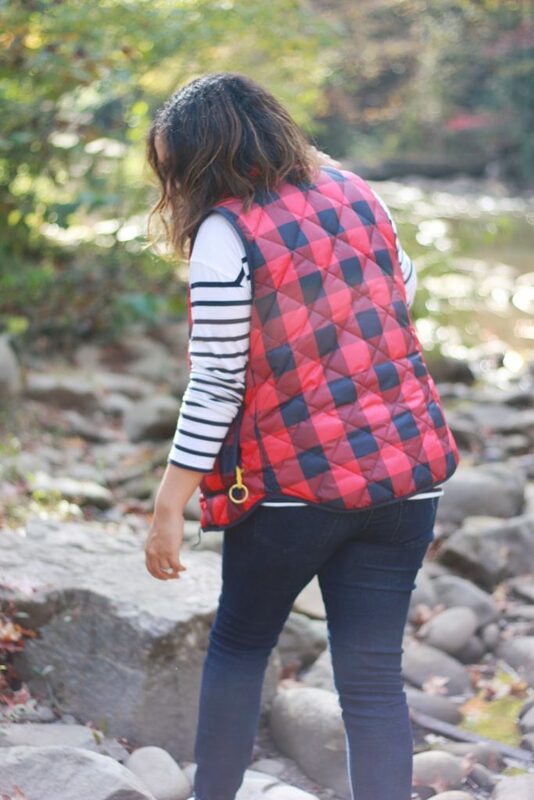 I love vests – they are so versatile! 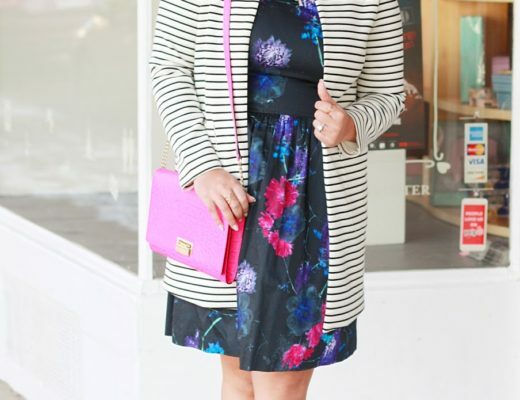 Love the mixing of prints! Vests are one of my favorite too! Love this one! I have a vest addictoin too haha! You look great! 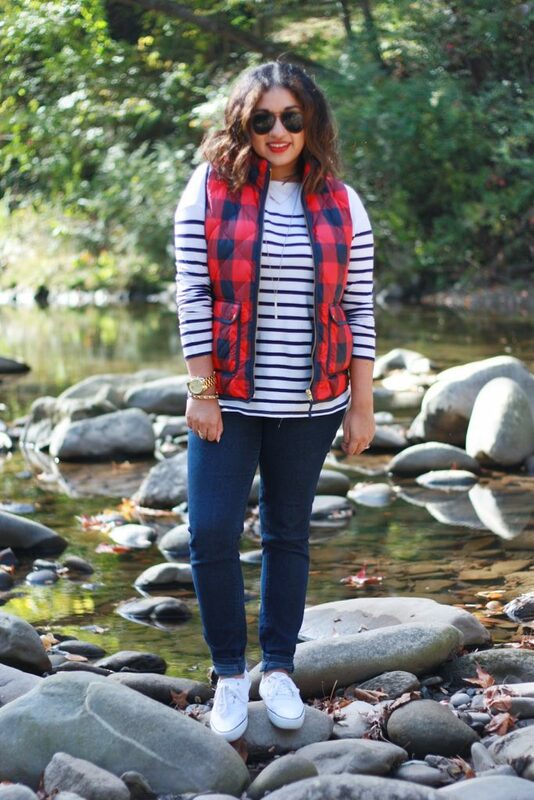 Love the plaid & stripe combo! 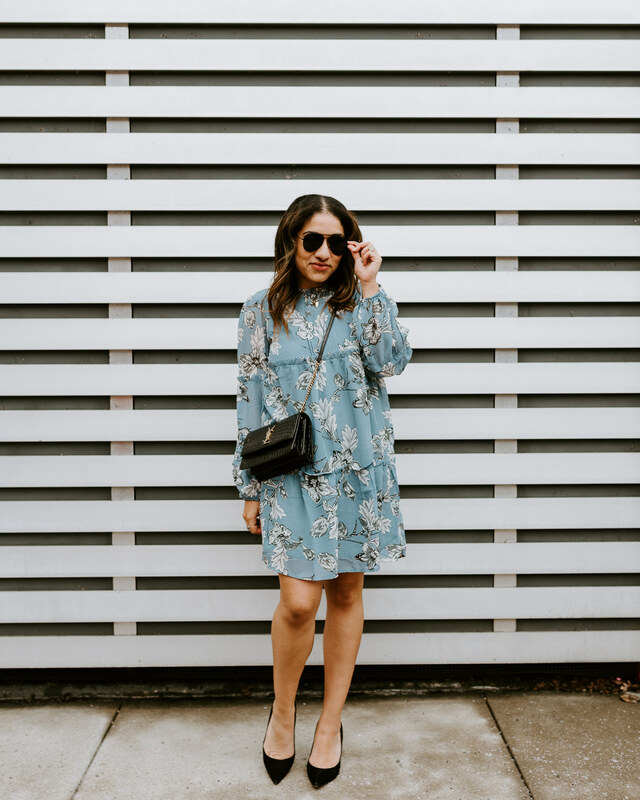 Such a great weekend outfit. Girl this is so adorable! 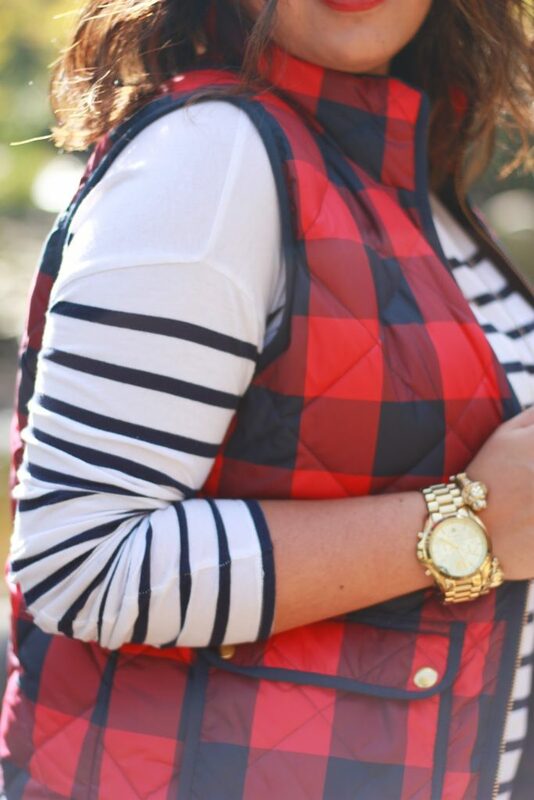 I love the print on that vest and it's perfect with your striped shirt! that vest is to die for! I need it in my life STAT! Love the pin button!! 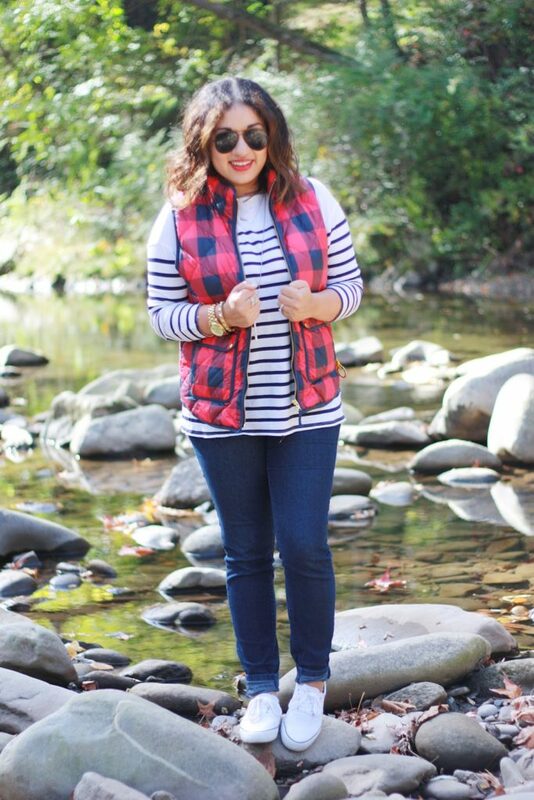 love your buffalo plaid vest!